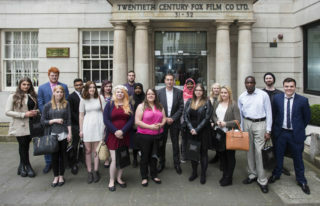 A further 9 vigilant staff members from cinemas across the UK have been recognised today for successfully intervening to prevent the illegal recording, or ‘camming’, of films under the Film Distributors’ Association (FDA) and Federation Against Copyright Theft (FACT) on-going Take Action reward programme. The programme provides thousands of pounds of cash rewards to cinema employees who identify individuals illegally recording a movie in a UK cinema, also known as ‘cammers’, and forms a key part of a wide-ranging theatrical protection programme funded by UK film distributors via FDA and operated by FACT. 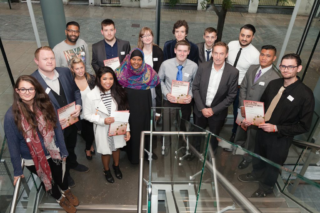 The 9 members of staff, including employees from Cineworld, Odeon and Vue cinemas, were each presented with a certificate and cash reward at a ceremony hosted by FDA. Collectively, they represented 7 incidents, all of which police attended, with 5 leading to formal cautions and one leading to an arrest. Since its establishment in 2006, Take Action has rewarded 123 members of cinema staff for their vigilance for helping to protect a range of popular films, with titles in 2014 including Guardians of the Galaxy, The Lego Movie, and Transformers: The Age of Extinction. Mark Batey, FDA Chief Executive, said: “FDA is delighted to recognise the on-going vigilance of our colleagues in cinema exhibition across the UK. They are at the frontline of the fight against film theft, and a vital part of our programme to make the UK as secure a market in which to release movies as possible”. Alongside the Take Action reward programme, FDA also provides vital extra resources for FACT to support cinema staff training and online scanning, as well as an on-going supply of night vision devices to help staff deter recording attempts in situ. Illegal recordings from cinemas worldwide remain the single biggest source of both counterfeit DVDs and unauthorised copies online, and the programme continues to be highly effective, training and assisting UK cinema staff in preventing infringement and loss.